Israel has betrayed a large segment of the Jewish people, Ephraim Halevy a former Mossad chief and a past head of the National Security Council said on March 19, 2018, at a session of the World Jewish Congress at the King David Hotel in Jerusalem. Halevy, who was closely involved in bringing Soviet and Ethiopian Jews to Israel, spoke at a breakfast session titled “Israel-Diaspora relations 70 years-on,” hosted by the WJC and its subsidiary, the Israel Council on Foreign Relations (ICFR). 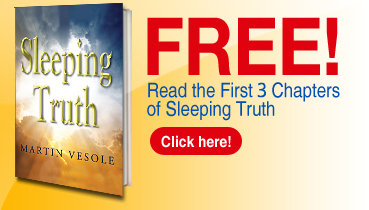 “Israel betrayed them by taking strict rules of conversion, which had not been used when Ezra and Nehemiah came back from Babylon with children whose mothers were not Jewish,” he said. Referring to Russian immigrants and others – many of whom have served in the army, some losing their lives in the process – he said the government and the Knesset cannot turn their backs on such people on the basis of Jewish identity. I am sad to report that Israel has made two moves recently that thumbs its nose at Conservative and Reform Jews and embraces the desires of the ultra-Orthodox, who comprise only 15% of the Jewish people worldwide. The first move is to renege on the deal negotiated over a 4-year period with all Jewish parties to allow equal access to the Western Wall (also known as the Kotel or the Wailing Wall). The ultra-Orthodox threatened to bolt the slim coalition Prime Minister Benjamin Netanyahu has put together and he caved in to their demands. The deal is now officially “frozen”, which means it is dead. The second move is to disallow conversions unless they are performed by rabbis that are approved by the ultra-Orthodox rabbinate. They have already published a list of 160 blacklisted rabbis and they will examine all conversions to see if they meet the rabbinate’s standards. This means that the ultra-Orthodox will have sole authority to determine who is a Jew and who can be married to a Jew. While the cultural tilt in America is toward increased pluralism, in Israel it is toward total theocracy. Many Jewish leaders and organizations are now refusing to meet with Netanyahu and feel a big divide has opened between Israel and American Jews. I am a strong supporter of Israel, and will continue to be, but like many other American Jews, I will be focusing my support and charitable donations to activities that support the safety and success of Israel and not to activities that support the government and the theocratic status quo. The politicians and the Israeli electorate need to feel our disapproval of what they are allowing to happen or this trend will continue and become permanently established. All Jews must be accepted and welcomed in Israel, the homeland of the Jewish people, as magnificently rendered in the Israeli national anthem, Hatikva. Michael Douglas will receive the 2015 Genesis Prize, which carries a $1 million honorarium, in June in Israel. The award recognizes an internationally renowned individual who is a role model in his or her community and whose actions and achievements express a commitment to Jewish values, the Jewish community and Israel, and who can inspire the younger generation of Jews worldwide. For this Israeli election, indeed for any Israeli election till its accomplished, the most important thing is to take away the power of the Orthodox to determine personal status issues. To determine who is a Jew, how to become a convert, how to get married, and how to get divorced should be a state issue not a Jewish law issue (except for themselves). They have no right to determine these things for those who are not Orthodox, who only comprise a bare 15% of the population. Though they say differently, their interpretation of Jewish law is valid only for themselves. It has no claim on the rest of us, except to the extent we choose it for ourselves. Other issues will take care of themselves no matter who is elected. Recently a Florida politician, Evelyn Garcia, a Palm Beach County representative to the Democratic National Committee and a candidate for state representative, came under fire from both parties for a series of emails that some called anti-Semitic and anti-Israel. 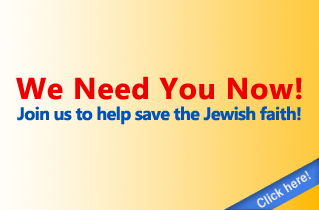 1.Help us discover how to save Judaism in America. 2.Time is of the essence. We are losing Jews at an alarming rate. 3.Create a community location where these issues can be discussed. 4.United we can move mountains (or just open a few hearts and minds). 5.We need YOU, and all your friends and family, NOW! Copyright © 2019 Martin Vesole. All Rights Reserved. | design.